One of the best vintages of this outstanding wine! 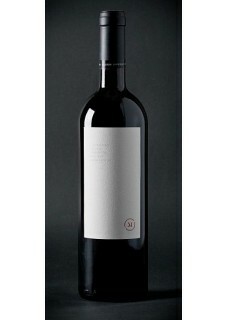 Intense, clean and attractive aromas are representing the best of the variety’s qualities. The fruitiness of plums is mixed with mineral tones reminiscent of seaweed, herbal notes of Mediterranean plants, and Maraska cherry, and it is all wrapped up in a blanket of gentle hints of smoke. The flavor is magnificent. Intense and fresh fruitiness intertwine with sweet spices. Its beginning is marked by this fresh fruitiness (a real refreshment in a seas of heavy Plavac’s), which is not in the least banal, but somewhat concentrated, very intense, and steady. Numerous spices take over in the middle, combining into sweetness when blended with the beginning’s fruitiness, and in the end a certain spicy note emerges through a combination of mild tannins, the heat of alcohol, and excellently dosed acidity. A wine with great potential which will improve even more in quality through aging over the next few years. A great wine. This vitnage is very rare, and it was one othe best in this decade! Food pairing: Veal, game, smoked ham, beefsteake .